To the northwest of the heart of Calgary lies the Bow River Valley and community of Cochrane, AB. With the combination of beautiful green spaces and a small-town feel, you’ll find yourself just 20 minutes away from downtown Calgary when you choose a new home in The Willows of River Heights. Since it's so close to the Rocky Mountains, you also have quick and easy access to recreational opportunities, mountain sports, and spectacular Banff National Park. One of the biggest benefits to living in this Calgary suburb is that you can escape the urban grind without having to forfeit the amenities you’ll need for your contemporary lifestyle. A wide range of shopping opportunities, golfing, hockey rinks, indoor sports and swimming centres, medical facilities, movie theatres and a public library are all located in the neighbourhood. The Willows is located within an area of Cochrane known as River Heights. It includes the southern entrance to the town and many unique buildings, businesses, residences and open space. As the community evolves and grows, it will include a village centre, police station, fire hall, medical services, transit centre and an employment centre to meet the many needs of the immediate neighbourhood and residents of The Willows of River Heights. The natural beauty of the area surrounding The Willows of River Heights includes wetlands and wide open views, along with parks, community gardens, and recreational spaces. Sidewalks and trails are thoughtfully planned throughout the community to create wonderful walking, running and bicycling routes. The existing wetlands are a big part of the natural character of the Cochrane area, and Willows Park is a central space that encompasses and protects the wetlands and the ecosystem. Your easy commute to Calgary includes the option of public transportation or a quick 20-minute drive in your own vehicle. You can easily connect to the Calgary CTrain at Tuscany or drive all the way to your destination via the system of modern highways serving the Cochrane area. Cochrane has an excellent school system, with both public and private elementary and secondary schools in the heart of town. Bow Valley High School is located in River Heights, and it offers convenient access to classes, student activities and sports. The central location of The Willows of River Heights community makes it an ideal location for your family when you desire an excellent, accessible school system offering high-quality educational opportunities. Shopping in Cochrane is a pleasure, as you will find a vibrant downtown core with boutiques, art galleries and shops selling unique giftware, apparel, culinary supplies and many other goods and services. The historical museum displays local artifacts and items of cultural interest, or you can indulge your contemporary taste with dinner in a gourmet restaurant followed by a film at the movie house. Medical care in the Cochrane area is easy, with an urgent care centre and a community health centre offering a wide range of health services to address your individual health needs. A convenient central location and comprehensive services mean you won’t need to travel to Calgary for your family’s basic medical care needs. 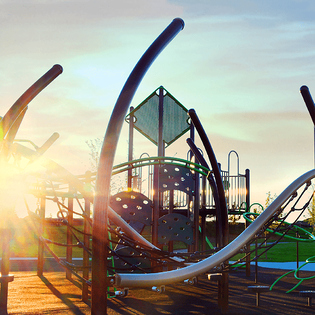 In addition to the beautiful parks within The Willows of River Heights, nine percent of Cochrane is dedicated as open space, and it’s an important part of the beauty of this desirable community. Mitford Park is located along the Bow River, and it includes an outdoor stage, hiking and biking pathways, ball fields and a skate park. Dogs, ice skaters, and picnickers will enjoy facilities specific to these needs, and large events such as weddings and family gatherings can take place at the Historic Cochrane Ranche Site, a 26-acre park with a stage, washrooms, picnic facilities and fire pits. Recreational opportunities in Cochrane are nearly unlimited with a huge variety of outdoor sports paired with indoor recreational facilities for your year-round enjoyment. Games from paintball to horseshoes create family-friendly fun, and the outdoor dog park provides adventures for four-legged family members. Outdoor and indoor ice arenas accommodate skating and hockey all year long. Choosing your NuVista home in The Willows of River Heights means you can enjoy lots of space in a desirable neighbourhood. You’ll also enjoy trendy home finishes along with a comprehensive home warranty for your peace of mind. Your selection of a townhouse or a single-family home allows you to choose the right size of home and floor plan to suit your specific needs. You’ll appreciate high-end features such as quartz countertops, pendant lighting, and tile or hardwood floors throughout your brand new home. Building a life in this beautiful Cochrane community, located just outside of Calgary, is a choice for a welcoming atmosphere and a quality new home to enjoy for many years.